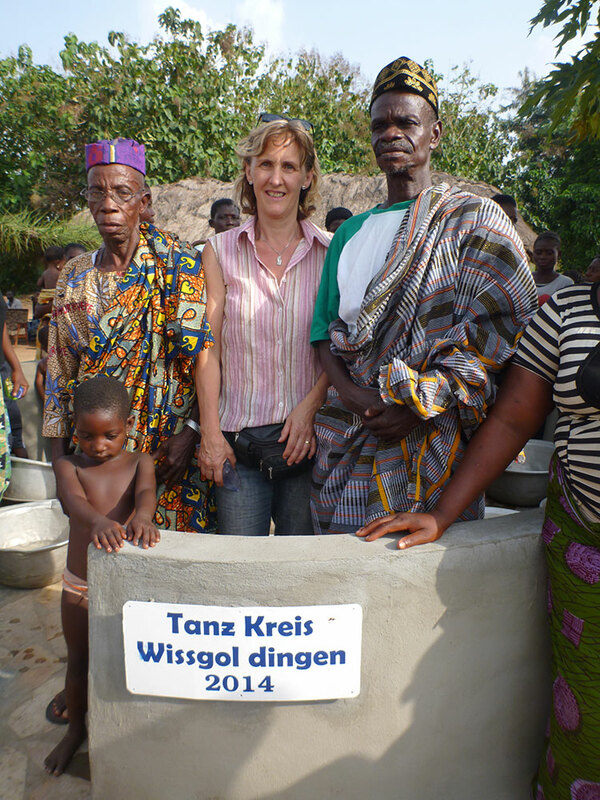 For many years now, we have been supporting the association "Hilfe für Togo e.V." (Aid for Togo). 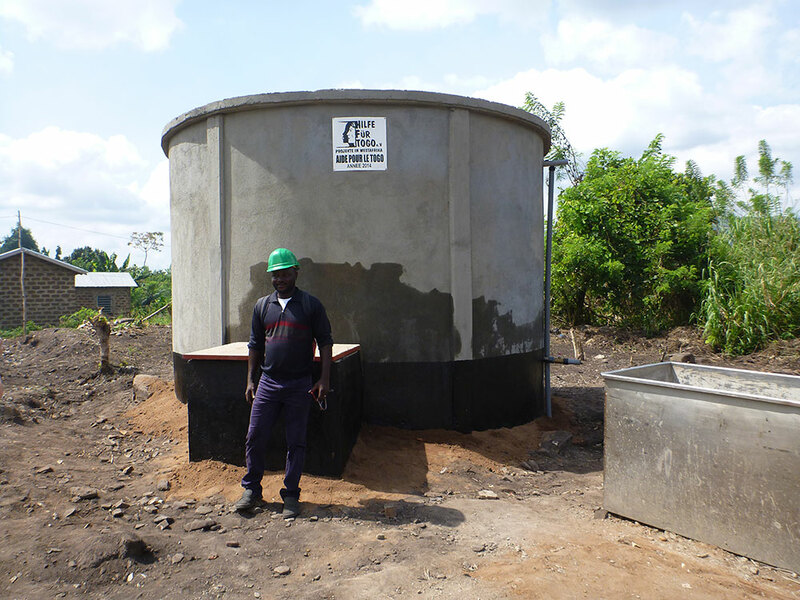 The special thing about this association is that over 99% of their charitable contributions benefit Togo directly. 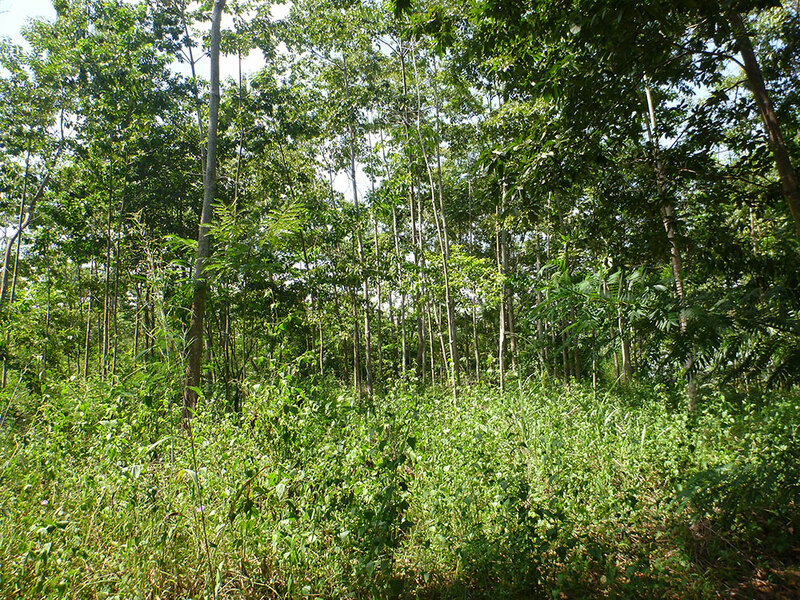 Instead of the obligatory Christmas presents for our customers, we have made it our mission to reforest the severely decimated woodlands there. Their increasing success in this area has made us feel for years that we have acted appropriately. In addition, the vocation school in Kpalime will be supported with in-kind donations in the form of lathes, drills, the pertinent lathe and drill tools, a drafting machine, tool benches, tool cabinets, measurement instruments, etc. New school building in Elavanyo: in Danyi Elavanyo on 03/12/2016, we were able to open what is by now our tenth school. 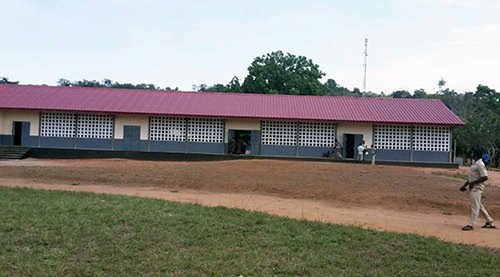 The Lycee (secondary school) now replaces four dilapidated huts thanks to support from the Federal Ministry for Development Cooperation and Daimler AG's ProCent initiative. The girls in particular will benefit from this school building since they are often not allowed to attend school in the city. 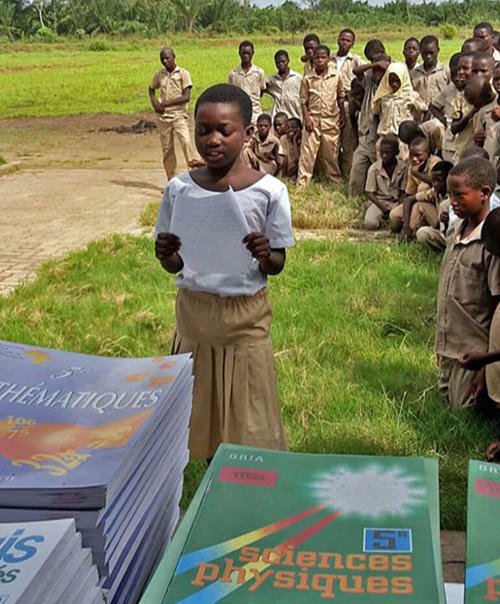 There are hardly any textbooks available in Togolese schools. The quality of teaching suffers significantly as a result of this. That's why we have provided three secondary schools with teaching and learning materials. 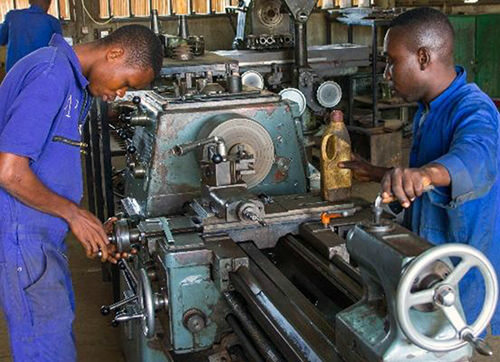 In Togo, vocational training is a foundation for a successful life. We are proud to have been able to award the 800th journeyman's certificate to a Togolese youth at our ABCN training centre this year. At the same time, a further 25 new apprentices were enrolled. 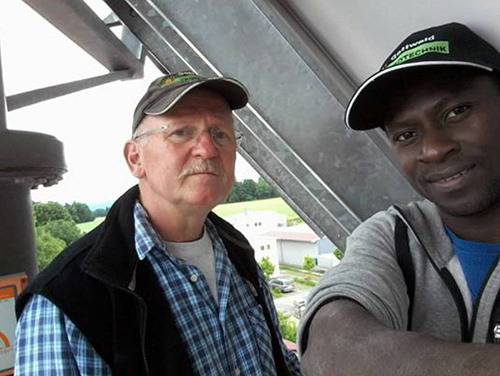 We provided Mémé, a young electrician from Togo, with training in solar technology and electrical engineering with the company Adolf Gottwald in Zimmerbach. With his help, we have expanded our ABCN training centre for the future to cover the vocational fields of electronics and photovoltaics. 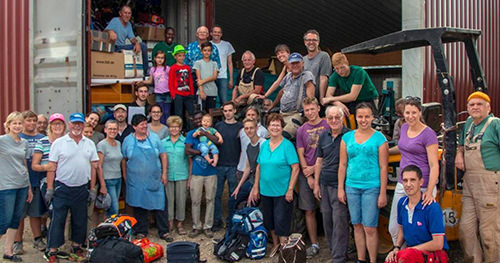 This year, we were able to send the 39th, 40th and 41st sea containers full of aid goods to Togo. Across a massive number of hours of work, the helpers sorted, packed and labelled donated goods. We would like to thank the many people and companies who have supported us with valuable aid goods. The distribution of the packages to the individual projects is a mammoth task for our Togolese friends. Thanks to Braun Beteiligungs GmbH Greifswald, we were able to station an ambulance at the Solidarité Hospital in order to provide emergency care in the Greater Kpalimé area. A long-standing partnership connects us to the hospital; among other things, selected employees of our social fund are responsible for supporting seriously ill and impoverished patients. This year, we were able to establish a further social fund in the Mother Theresa's Sisters centre. Rural exodus is a very significant issue in developing countries. 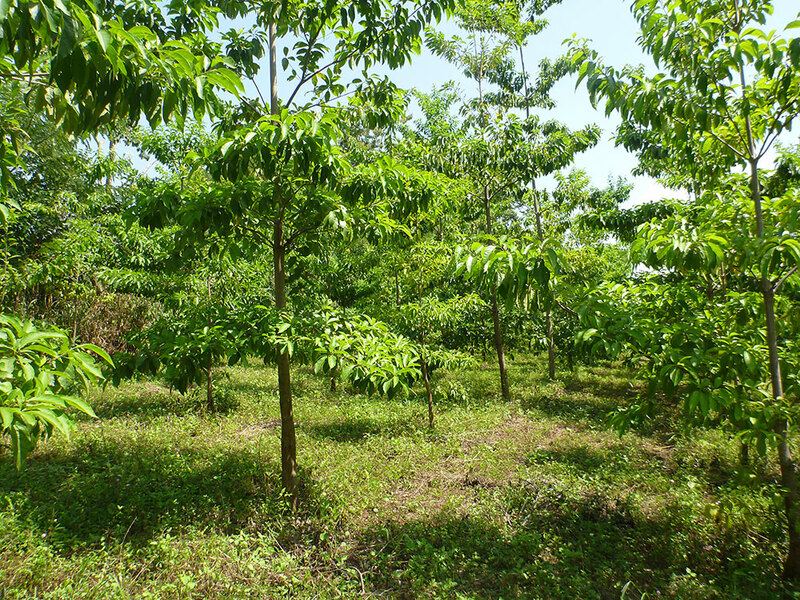 The cultivation of foodstuffs is generally done exclusively by means of manual labour, without any mechanisation. As a result, the profession of farming is unattractive to young people. Owing to the poor yields, it is not possible to feed a family. Even low levels of mechanisation of the profession increase the attractiveness of the profession and increase yields, thereby improving prospects for the rural population. The cooperative, with 19 women and three men, which we founded in the Afagnan region is recording its first successes. The harvest yields have improved by 30% and a chicken farm has been installed. 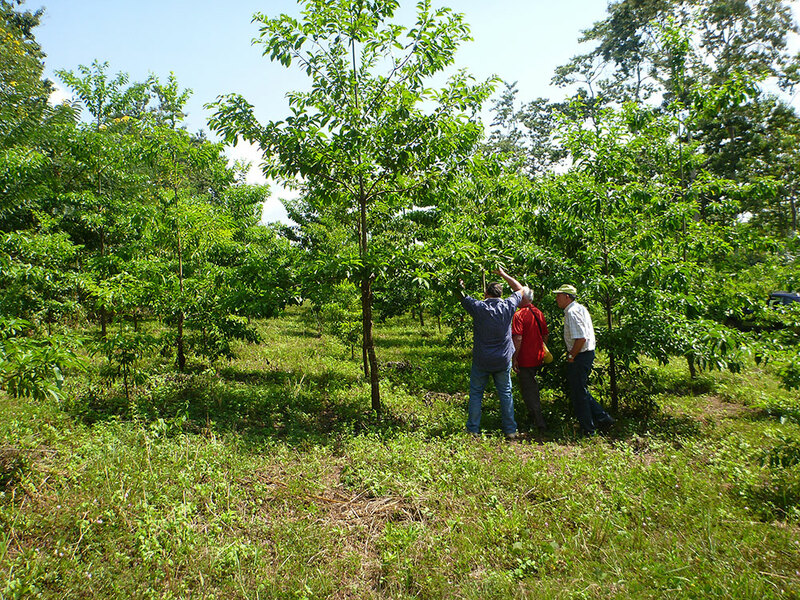 Our reforestation projects on Misahoe and on the Plateaux de Dany have continued and, this year, were expanded by three hectares.